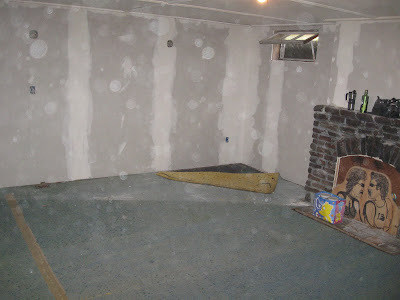 Just a girl with a hammer: A man-cave fit for a man in a cave. And then I did all that work last winter so it looked like this. It's starting to look like a real room! It needs baseboard and window trim but it's getting there! I grabbed the painting from the reveal that used to be over the living room mantle. But don't look over there; when I do I get the theme song to Sanford and Son stuck in my head. The boy and I have an agreement, stolen from a very smart friend, that we will keep everything we own for the first year of living together. So we have two beds and lots of duplicate kitchen gear that got boxed up and stored in the garage and basement. The last thing you want to do after a relationship ends is to have to buy a new bed (or a new cheese grater, or whatever) because you got rid of yours when you moved in together. So we'll reassess in a year or two or whenever we feel like it and then we can start to pare down our stuff. But for right now we have a mattress in the alcove. 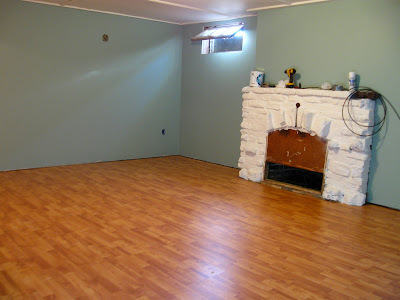 Now I'm itching to paint the wood paneling that lines the stairs down to the basement and replace that nasty carpet. And lastly, Hall and Oates will finally have to go. Your basement looks awesome! 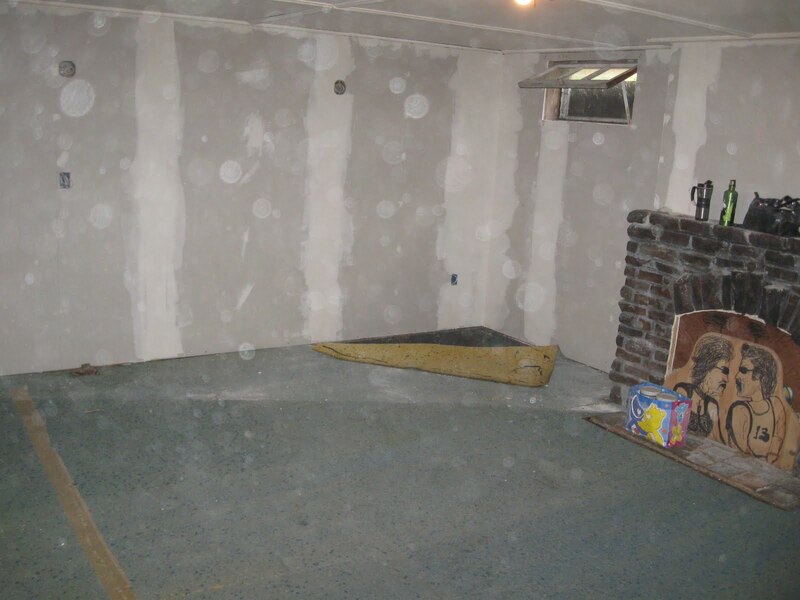 We dream of the someday when we will have a finished basement (or at least part of it). One thing I have noticed recently (of course I noticed it when we moved in, but then forgot about it) is that all the basement windows (same style as yours) are blocked by insulation, so there's nary a shred of natural light allowed in. I'm sure it's more energy-efficient, but eventually it would be nice to be able to tell what relative time of day it is while down there. Someday! And anyway, nicely done!